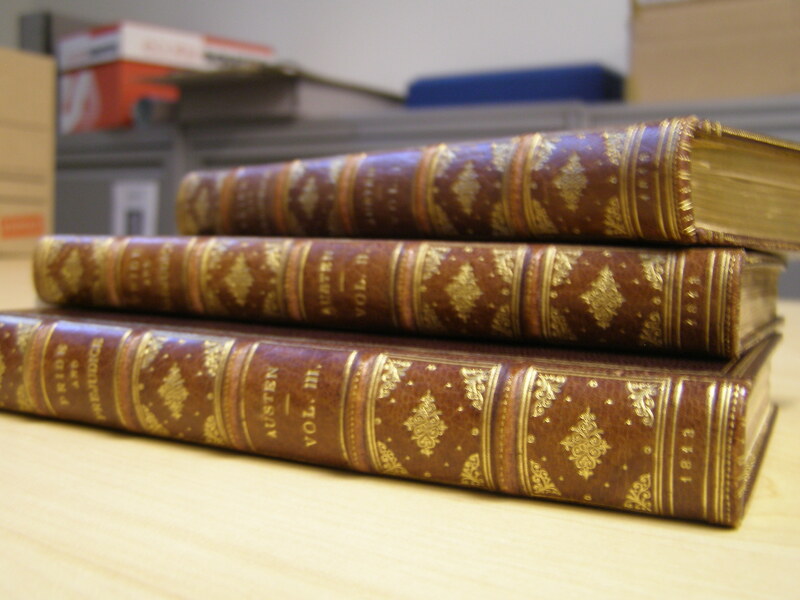 Today marks the 200th anniversary of Jane Austen’s Pride and Prejudice, published in 1813 by Thomas Egerton. Rare Books and Special Collections is fortunate to have a first edition in our holdings, which was generously donated by a private donor last year. At some point in its life this copy must have lost its title pages, because they are facsimiles, but it is otherwise a very fine copy and excellent for research and study. If you would like to see it in person, you are welcome to come to RBSC‘s reading room anytime during our opening hours and request it! Remember that you do not need to be affiliated with UBC to use our resources. The Jane Austen House and Museum has launched a Pride and Prejudice 200 website with events, links, and articles. 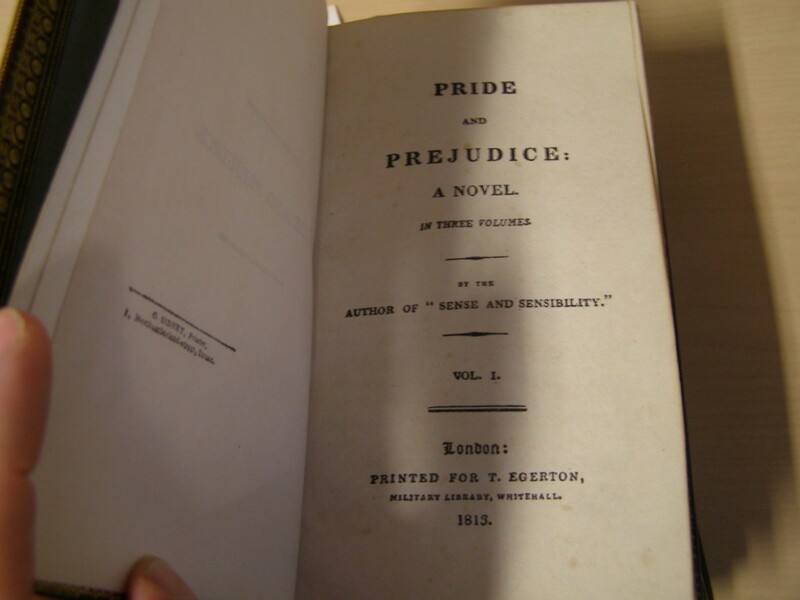 If you’re interested in the publication history of Pride and Prejudice, be sure to check out the article detailing “Examining Pride and Prejudice through letters” which discusses the history of its publications through archival sources. Jane Austen fans have three societies to get involved with – the Jane Austen Society, the Jane Austen Society of North America, and the Jane Austen Society of Australia. We love literature and poetry at Rare Books and Special Collections, so we’re pleased to wish you a Happy Burns Day! Burns Day celebrates the birth of Robert Burns in 1759, the great Scottish bard who gave us Tam ‘O Shanter, Auld Lang Syne, and A Red, Red Rose (and many others). You can also specify a range of dates if say, you want to only see results from the 18th or 19th century. You may be wondering, why would a book collector (or a rare books library) be interested in forgeries? As long as you know a forgery is a fake and are not mistaking it for the real thing, forgeries can be quite interesting. Some forgers became so famous that their forgeries become famous in their own right! RBSC has a collection related to the famous forger Thomas J. Wise. 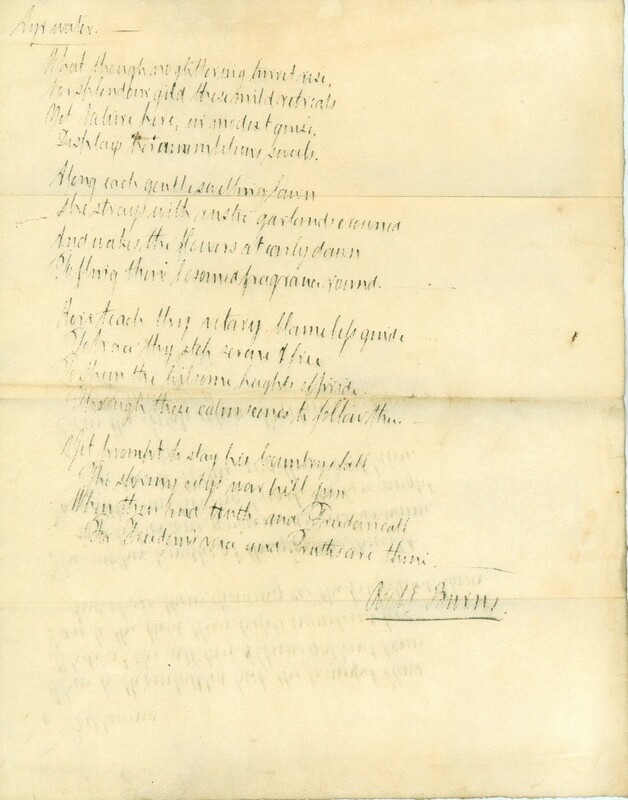 The Centre for Robert Burns Studies at University of Glasgow discusses their major scholarly work on Burns, and gives a great list of further links to explore. Have you been missing our Featured Place posts as much as we’ve missed writing them? It’s a new year and we’re looking forward to featuring lots of B.C. places in 2013! For those new to our blog, this post is part of a series in which we find resources from Rare Books and Special Collections relating to B.C. places that are used as room names in the Irving K. Barber Learning Centre. Supposing you wanted to find more about Allison Harbour. This is a situation when starting out with a secondary source might give you more keywords to search for. Both B.C. Geographical Names and Wikipedia mention that Allison Harbour was formerly known as False Bay or False Schooner Passage. Our website search comes up with a couple of photographs of False Bay, and a catalogue search finds a map (False Schooner doesn’t find anything). But beware- there is more than one False Bay! One of the photographs is more likely taken in the False Bay off of Nanaimo (here is a digital version of it) and another is in South Africa. The map is of the Clayoquot Sound district, showing (yet another) False Bay. False Bay has turned out to be a false lead! – Depending on what aspect of Allison Harbour you are interested in, you might use other clues from the secondary sources to form a search. For example, B.C. Geographical names says it was “named after Mr. Allison, manager of logging operations for the Smith-Dollar Lumber Company, circa 1922.” You could search for the Smith-Dollar Lumber Company if that was of interest to you. Or if you are interested in the marine park, you could search for collections or publications that have to do with B.C. parks more generally. Douglas’s articles also contain other descriptions and clues about this (apparently) little known B.C. place. – You can expand your search geographically. Now that we know Allison Harbour is in the Queen Charlotte Straight, you could use that as your search phrase to find maps, charts, publications and documents about the area in general. – One of the beautiful things about digitization is that OCR (Optical Character Recognition) technology allows you to full-text search a lot of scanned documents, whereas pre-digitization we relied only on the catalogue or finding aid. You can search UBC’s digital collections, or try the B.C. Historical Newspapers page for full-text searching possibilities. Of course, no single library or archives can hold all possible information about any place or subject- it’s important to use other catalogues too. You can search the UBC Library Catalogue across all branches and online resources through Summon. You might also try MemoryBC, a database which brings together archival descriptions from across the province. Happy 2013 and happy researching!